Sarawak Energy made a great presentation to the United Nations in Geneva last month, boasting about their plans to resettle the Penan, after forcing them from their homeland in Murum to make way for the latest controversial dam project. It seemed they were going to be moved from a deprived existence (true, especially since Taib took their forest) and placed into a modern settlement with schools, clinics, training, lands, comfortable accommodation and a great compensation package! Make no bones about it, according to SEB, the main beneficiaries of this dam are designed to be the down-trodden local Kenyah and Penan people. Helping these very tribes is the key ambition of CEO Torstein Sjotveit, as he launches his extraordinary dam building spree in Sarawak. Benefitting these ‘backward’ people is what drives and motivates him, according to endless statements he has made. His own multi-million dollar salary and Taib’s huge business contracts have nothing to do with it. 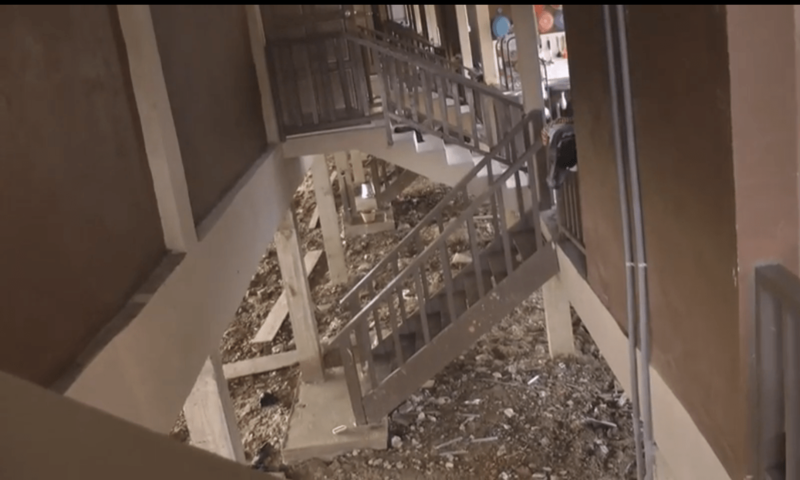 Except, in the first film report to come out from the area the Penan are now saying that in fact their lives have become immediately far worse in this new place, which they describe as a hellhole and with good reason. 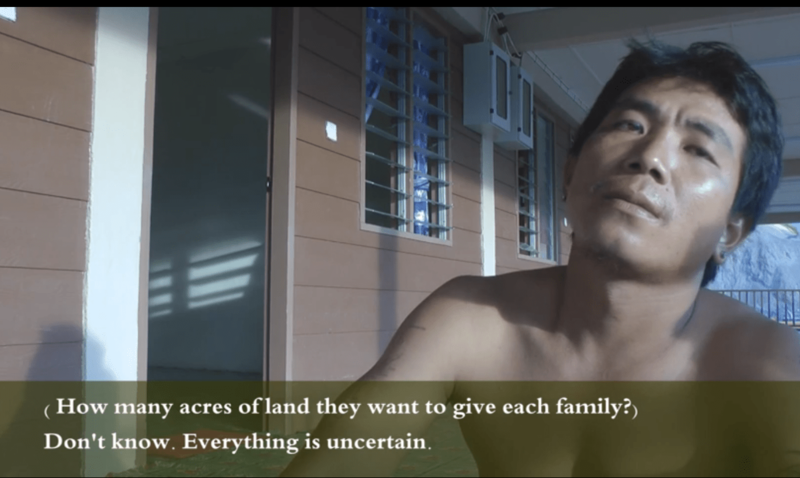 Promises are cheap – why did Torstein Sjotveit not put them into a legal contract agreed with the Penan? It was the same sort of exciting, but extremely vague promises that had persuaded some of the Penan to agree to be moved last month (particularly once SEB started impounding the dam and drowning their homes). Others are still blockading the dam site and demanding fixed, guaranteed compensation before they agree to move to any resettlement, because they don’t trust verbal promises made by Taib Mahmud. But the truth is very different, despite the upbeat reports that poured out from the pack of journalists who were ferried up to the site by SEB last week as part of a three day all expenses tour to hear the company’s side of the Murum story. Even the escorted journalists dared to mention that there have been disruptions to water supplies and only limited electricity at the site. But now the plight of those who have moved to the resettlement area of Tegalung is painfully shown in the new film expose made by the People’s Documentary team, who managed to reach the isolated community. What they found was a barren building site in the middle of nowhere, with none of the promised schools, clinics or churches and precious little in the way of amenities or lands. The compensation terms are still vague and incomplete say the resettled folk. They have no idea what they will eventually receive, if anything. Judging on the treatment of previous dam refugees in Sarawak they should expect little. The people of Batang Ai and Bakun discovered that many of the things they had been promised for free, like their new homes, running water and electricity came with a price tag that they couldn’t afford. Tegalung is bleak and unfinished and the familes are already aimless and listless. Rice gets dumped on their porch. 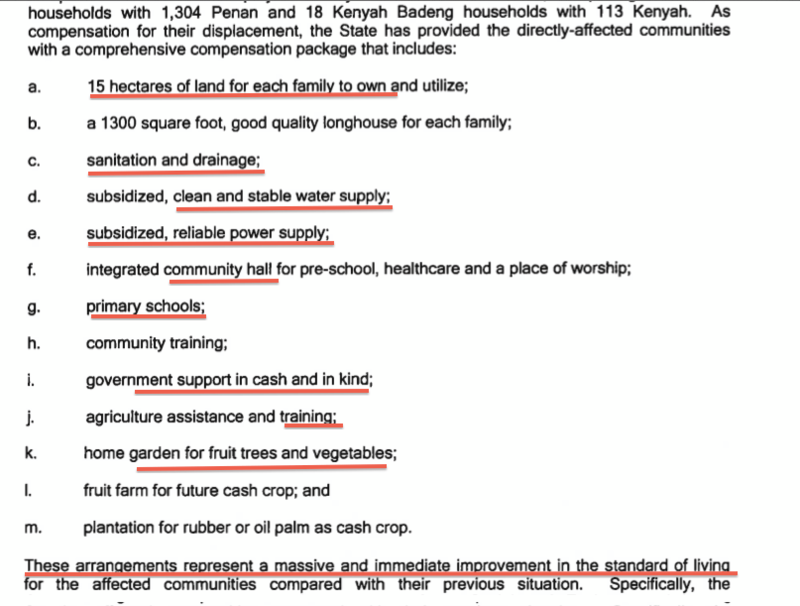 There is no mention of the so-called agricultural lessons promised to passing journalists last month. 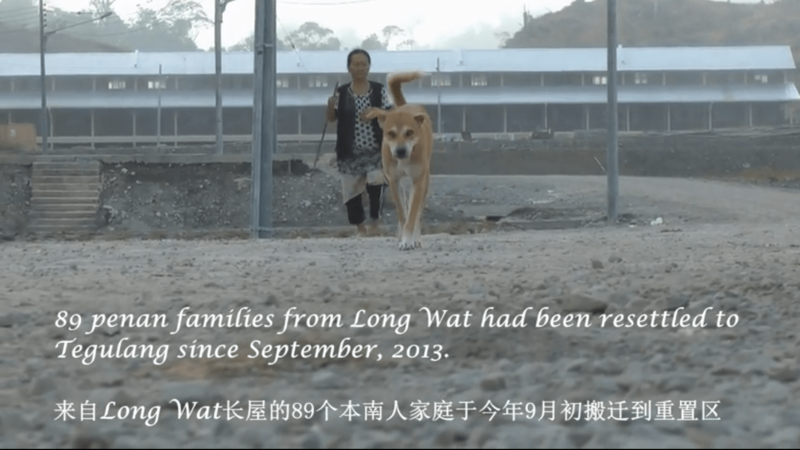 The people of Long Wat who have been moved here are disappointed at shabby buildings and tiny space. Their electricity is sporadic and water is not adequate. There is no site of anywhere to grow things and here, in the middle of nowhere, most have no transport. Tragically, neither did SEB fulfil its promise to allow each family enough transport assistance to remove their materials in the 4 hour road trip from their own home. Dogs and chickens and prized possessions were left behind for a second trip that was never provided. By the time these people returned to Long Wat their home had been burnt by SEB, their valuables destroyed and their pets are presumed dead. At the very moment that SEB’s public relations team were bragging at the UN about their “mission in Sarawak” to improve the lives of the Penan, they were conducting the move from Long Wat. This is what actually happened according to the people now stranded in Tegalung. Torstein Sjotveit has assured the world that his company has been achieving the highest benchmark’s of best practice in its resettlement programme. We leave viewers to judge for themselves. The damned dam was built secretly and not until it was nearing completion did they announced to the world the existence of this damned dam. Now how is that benefiting the Penans and Kenyah when they were not even engaged, consulted and told of the impact it would do to their lives and future? Was it built to surprise them, to catch them off guard or was it for any other reasons other than to further oppress and control the natives? Now that the Damned dam is completed and will soon generate more than enough power to light up seb’s swanky Kuching office a zillion times, power taib and his cronies factories and all that is making them mega rich, WHAT BENEFITS HAS THE PENANS AND KENYAH GAINED FROM IT? AND WHY ARE THEY STILL BLOCKADING THE ROADS AND STILL PROTESTING AGAINST THE DAMNED DAM? seb can fooled the world with all the crap about compensations, good dwellings, amenities and other bull, dog or even pig shits BUT THEY CANNOT FOOL THE PROTESTING PENANS AND KENYAH WHO ARE IMMEDIATELY AFEECTED, WHO ARE EXPERIENCING AND GOING THROUGH HARDSHIP AND LIVING HELL TO GET BY WITHOUT THE PROMISED BENEFITS IN SIGHT! At the moment, the only thing in the insight of these protesting and blockading Penans and Kenyah are the BAREL OF THE POLICE GUNS AND WEAPONS and this is how SEB,taib,and cronies, and that Norwegian Torstein rward the Penans and Kenyah for being forcefully removed from the ancestral homes? Seb,Torstein,taib and cronies can fool the world or their god but they can’t fool these PROTESTERS! Fuk Taib Mahmud and fuk that Norwegian CEO of SEB for sucking taxpayers money and destroying the assets of all Sarawakians.